Two investigations into the translocation of temperate deciduous woodland soil were carried out in Kent, S. E. England, to study the effects on C and N mineralisation. In the field experiment, two translocation methods were compared: (i) placement, moving soil as an intact surface profile and (ii) loose-tipping in which the surface profile was mixed. These were implemented in winter both in situ (under the woodland canopy) and ex situ (soil moved to a receptor site outside woodland). In a second experiment, intact soil cores from the woodland site were subjected to different levels of disturbance in a polythene tunnel environment. Measurements of soil CO2 evolution and N mineralisation in both experiments showed a clear seasonal pattern, strongly influenced by temperature. Over a 7-month period, cumulative net N mineralisation in the field was greater in the woodland controls and placement treatments than loose-tipping treatments. Soil CO2	emissions were also greater in woodland control plots in the winter compared with ex situ treatments. Similarly, in the polythene tunnel environment, CO2 emissions were highest in the undisturbed soil cores, while N mineralisation varied with soil depth but, across the whole profile, was also greater in the controls. 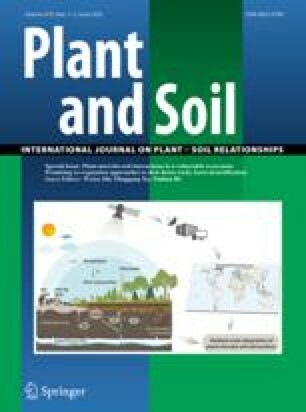 We conclude that the mixing of organic rich topsoil with mineral subsoil in clayey soil may have protected the organic residues on the clay-silt surfaces, resulting in overall lower mineralisation rates in the disturbed soil. These results indicate that N mineralisation does not necessarily increase when soil translocation operations are carried out on clayey soils in winter. Placement methods appeared the most likely to conserve soil mineralisation processes close to those in undisturbed woodland soil, but depend greatly on the success of maintaining the soil profile intact. It appears that, on clayey soils, the development of vegetation at the receptor site is more likely to be determined by alterations in the light, soil temperature and moisture regime that will occur in open conditions after woodland translocation than from increased soil N supply.